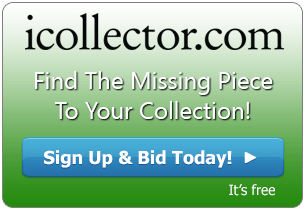 iCollector’s newest addition to their auction platform comes from Saskatchewan. Rose and Kerry Nymann are opening Things and Such Auctions, which will be offering all kinds of interesting household items and vintage collectibles. Their first auction is a timed event that closes on Wednesday November 28th at 5PM Central time, with nearly 200 lots to chose from opening at ten dollars or less. 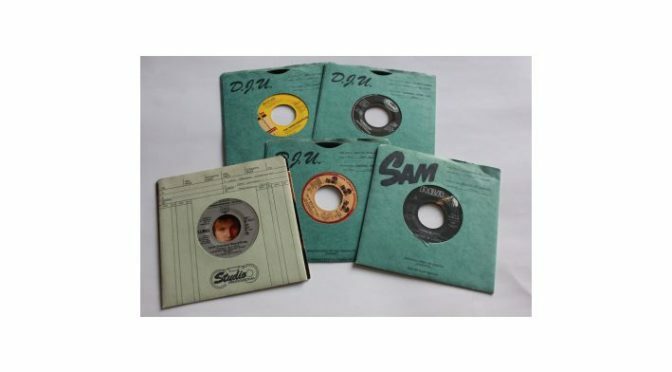 The first 32 lots of the sale are groups of jukebox quality 45’s. For collectors of vintage vinyl records, this is a treasure chest waiting to be opened. Each lot has 5 records and the lot descriptions detail each one. Great artists and bands from the 50s to the 70s are represented here. The discontinuation of the single has been cited as a major marketing mistake by the record companies considering it eliminated an inexpensive recording format for young fans to use to become accustomed to purchasing music. In its place was the predominance of the album which alienated customers by the expense of purchasing an expensive format for only one or two songs of interest. This in turn encouraged interest in file sharing software on the internet like Napster for single recordings initially which began to seriously undercut the music recording market. Take a journey through history by bidding on these lots today. The auction then moves into cassette tapes from Lots 33 to 63. Each lot has a group of 5, and the descriptions lay out the content in the online catalog. These are treasure chest of the 1980’s which was the heyday of the cassette. The best artists and bands are all represented in this collection and bidders are encouraged to pick up as many as they can. The cassette lots open for only $2.50 making great cheap buys for everyone. Lots 65 to 90 are DVDs of TV series. Single season of all your favorite TV shows are available for bidding, once again in groups of 5. Check out all the descriptions and add to your collection today. The rest of the auction has plenty of household items, games, toys, clothing and more! The entire catalog is available for online inspection with full photos and descriptions. Things and Such Auctions is looking forward to offering household items, vintage collectibles, and pieces of history all for cheap auction prices. Check them out on iCollector.com.